There must be more intersectional visions of the future that include all races, genders, sexualities, species and religions. Ever noticed how few black characters there are in sci-fi flicks? How those that do exist are sidekicks, baddies or set up to die? How the attitude towards space exploration is markedly similar to colonisation? That the robots are almost always slaves to human masters? (no wonder they end up coming after us in the other handful of narratives) How economic and racial inequalities either magically become non-issues or are aggravated even more while everyone remains nonplussed? 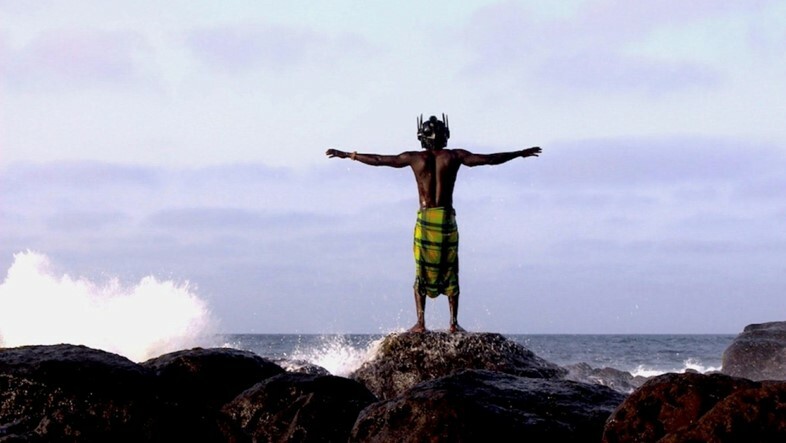 These are some of the questions that Afrofuturist writers, artists and filmmakers from Philadelphia to Lagos, Rotterdam to Cairo and beyond are highlighting, inspired by the likes of interstellar jazz musician Sun Ra (famous for Space is the Place), and black feminist sci-fi writer Octavia Butler. By using science fiction to unpack hard-hitting social issues, these voices are saying we need more intersectional visions of the future that include all races, genders, sexualities, species and religions that make up humanity. What is different to traditional science fiction is that Afrofuturism generally doesn’t play out in the distant abstract future but is set in the impending present. After all, technology-wise we’re living in the future that many of us grew up reading about – except for the flying cars. Many are also living the proverbial apocalypse. From the terrorist attacks in Paris, Beirut, Burundi and Baghdad to the earthquakes in Japan and Mexico, and the continued need for Americans to be reminded that #Blacklivesmatter, how much more catastrophic does it need to get before we agree that it’s time to reimagine our collective future? That’s not to ignore the lived experience of everyday domestic apocalypses such as sexual abuse and violence. This is what Philadelphia-based social worker Ras Mashramani and lawyer Rasheedah Phillips translate into Afrofuturist fiction. Along with musician and writer Camae Defstara aka Mother Moor Goddess, the three women spread their work through photocopied zines that deal with issues like gentrification using the space invader metaphor, and domestic and sexual abuse through the lens of alien abductions. For many, along with the one in nine people in the world that go hungry every single day, even the notion of thinking about a future beyond the existing apocalypse – their next meal – is a provocation. Here Phillips, also the founder of the Afrofuturist Affair, proposes revisionist historical narratives that recast people of colour, women and LGBTI people as heroes of their own destiny. In mainstream sci-fi, the time-travel paradox – in which changing something in the past might erase your very existence – trips up any attempt at changing history. However, says Phillips, this is a linear sense of time in which we are all slaves to the clock. In Black Quantum Futurism, she bends space and time in order to see into alternative futures. Unlike the externally imposed Western sense of time, an African sense of time is innately human and “it’s time” when everyone gets there. 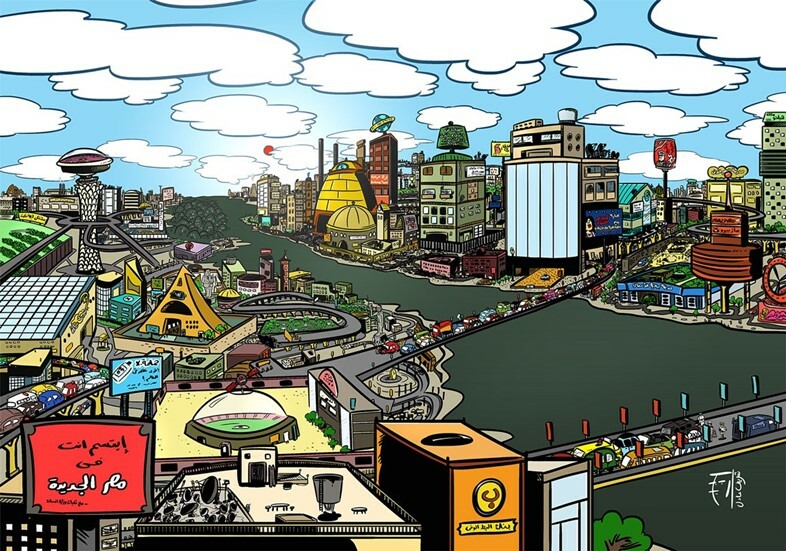 Egyptian graphic novelist Sherif Adel stretched time in his satirical depiction of Cairo in 1,000 years. Spoiler: he reckons it will be about the same – one giant traffic jam. This dystopian future expresses the disappointment following the Arab Spring revolution euphoria when mobile messaging technology was heralded as a rallying cry for the masses to bring down every corrupt state. And then the dust settled and the same people were still in power, only worse than before. It is for this reason that novelists such as Nigerian-American Nnedi Okorafor is addressing political complexity with magical realism, best seen in Who Fears Death, winner of the World Fantasy Award for Best Novel. This year she published the prequel, The Book of Phoenix. The books engage with issues of ethnicity, female genital mutilation, gender equality and colonization. Still, Afrofuturists are slim on the ground in Europe when compared to the US and Africa. However, as the neoconservative hatches come down in response to terrorism, there has never been a better time: what we know from punk is that fascism fuels counterculture. The time is now to make #Blackfuturesmatter.